Drew this raining umbrellas pattern for Illustration Friday. 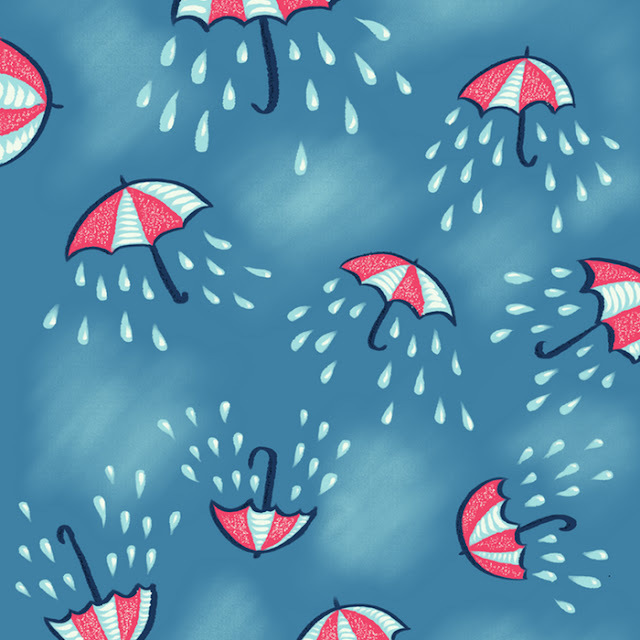 This week's topic is "umbrella". As always, I'm nearly late. Just nearly. My initial idea was for a vector image. Being short of time, I drew it in my favorite Procreate app instead.